Oh, I'm not talking about reusing the bridge itself, I mean applying the same shapes and stylings to the Galaxy layout. 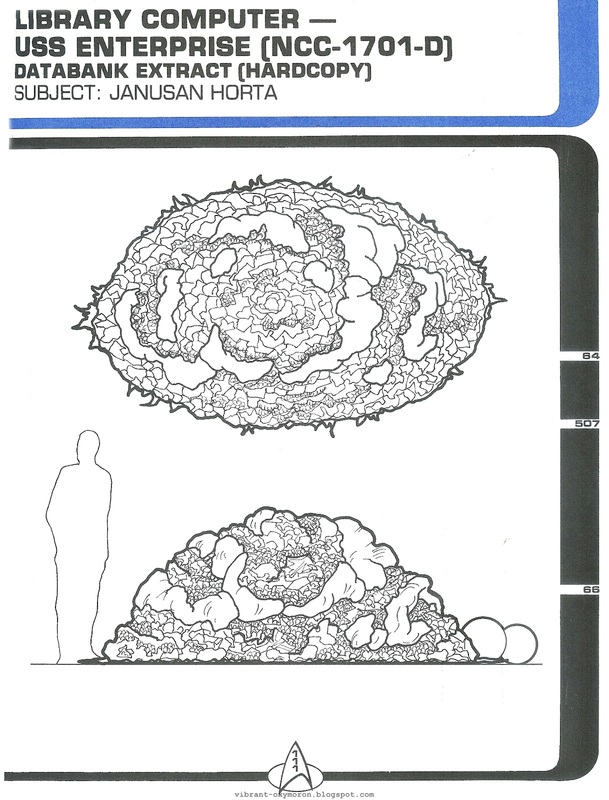 Here you go Rusty, this is the rough concept for the buttress design on the generic Warship Bridge. The Galaxy/Nebula buttress is rounded at the edges, and has no lower lit panel. The upper lit panel similarly is a little slimmer and rounded at all corners. 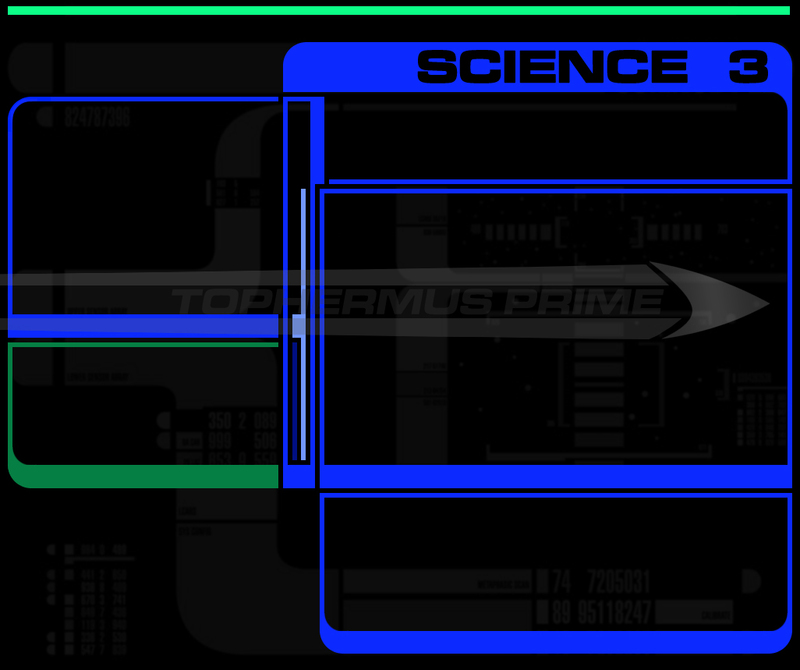 I've started some very rough outlines for two of the Science console main displays for my Enterprise-C Main Bridge concept, using the layout of TNG-era panels as a guide (you can see their faint dark grey outlines in the background). Colors may eventually change, but I'm sticking with more of a movie palette for now. Primary animated screens are on the right, with their supplemental text data in the cell above. Conversely, the smaller secondary displays feature addendum text/data below. The bottom cells are Aux Data displays etc. I actually considered the TNG LCARS system being introduced in 2347 (around the time of the updated Starfleet emblem). Starting in the early 2350's, older ships got computer overhauls to accomodate newer LCARS interfaces. Yeah, I'm going a bit more gradual than that, otherwise the jumps are quite glaring - not to mention the length of time they stagnate with one UI. The one above comes out probably in the 2020s, and then I'm doing a proto-LCARS that predates the early TNG version and would've been around during the Cardassian War. ETA: As for the emblem; you can keep that ugly oval shield Like JMP11, I prefer the "Parallels" commbadge. 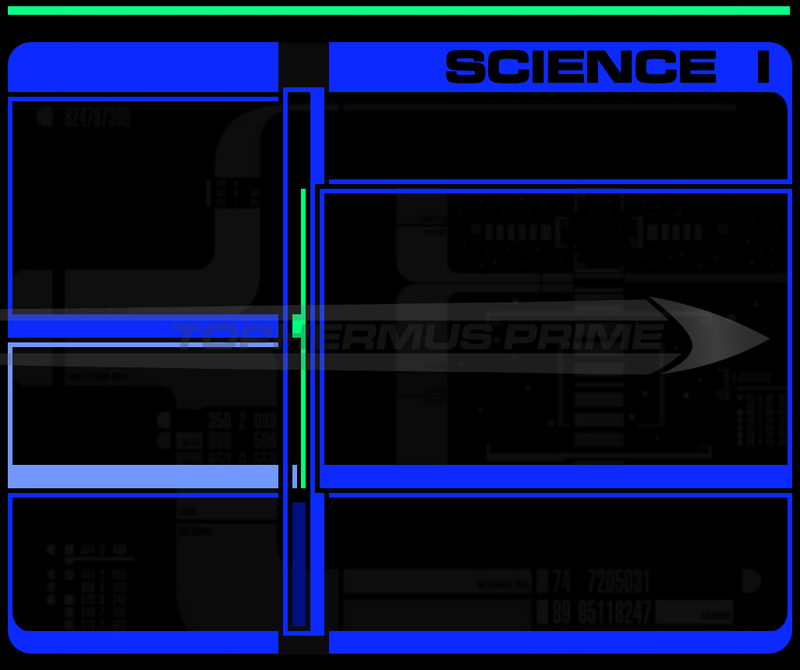 Hmm, that basically is LCARS, just flipped horizontally and with a non-canon font. Doesn't really "cut the mustard" for me. Thanks for sharing it though. 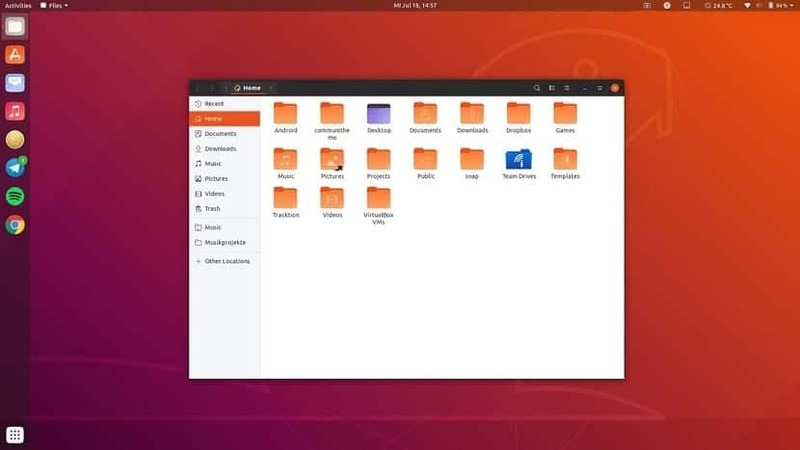 LOL, I went from 7 to 10 with no major issues; the apps within are no different, even if the new start menu is a little strange. It's certainly nothing like the Trekverse snap-jump from Okudagrams to LCARS. 10 was a lot closer to 7 than 8 was. 8 was extremely alien to 7 users, particularly before the 8.1 update. I happened to buy a new laptop right around when 8 came around, and it was so bad, thinks took a lot longer to do with it. That's what started my interest in Linux, long before I knew anything about it other than 'it seems easier to use than this mess'. 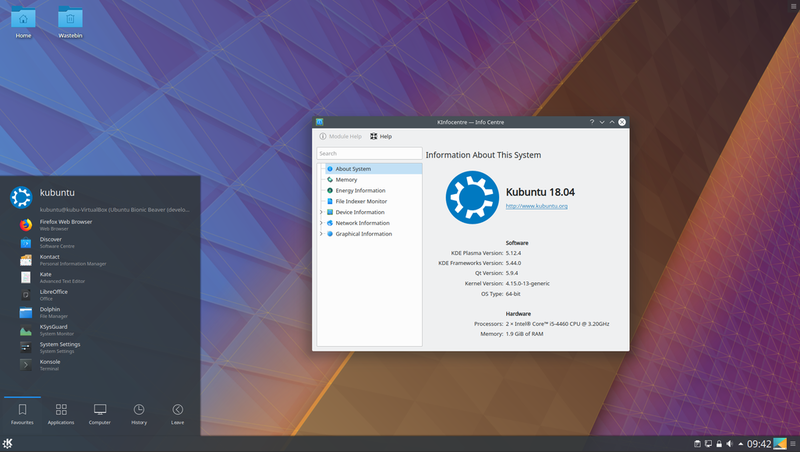 Now, knowing nothing about computers, the first two would seem to be a lot closely related to each other than the last one; while in reality the two last ones are the exact same OS, but with a different desktop environment on top of it; while Windows itself, looking very similar to Kubuntu on the surface, is completely different down to the most fundamental level as a piece of software. The point here is, while the graphics from the Enterprise-A all the way to the Enterprise-C look to be identical, it can be argued that, sometime in the middle, the underlying system was improved substantially or completely changed, and it was down to how well designed the UI was than it was kept the same on the surface level. Besides, Starfleet computers are not a consumer level product, which means that if the UI wasn't in need of a refresh, there was no need to do one artificially in order to sell more copies or stuff like that. I don't doubt there were improvements, but we're talking 50+ years with no noticeable changes if we go by purely what was onscreen. Sorry, but I'm very familiar with DOS-Windows-Win95-XP-Vista and so on changes in the space of 30 years, so I am absolutely not buying that, not for that length of time! Improvements would be an ongoing requirement, not only in terms of background performance (bearing in mind the need to keep up with other factions/races), but also with regards adapting for increased multispecies ergonomics as more species join Starfleet, not to mention changes to account for (or take advantage of) new tech additions and those simple "hey, I saw this on a Trill interface, it might be helpful to include!" suggestions passed on to the SF thinktank. In short, just because it's not a "consumer product" doesn't mean there wouldn't be a need for it to change for over half a century. 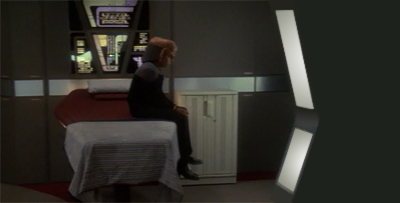 At the end of the day though, the only reason the interface was seen to "not change" was because we didn't have any movies or shows take place in the intervening years - unlike TNG-VOY, where we saw noticeable updates to the basic LCARS layouts and even colors in the space of what, 14 years? (before I even get into the TOS Movies!) As a result I'm not going to bend over backwards to rationalise what we saw onscreen as being accurate, when it was driven primarily by lack of time and/or budget (or, simple human error - John Eaves I'm looking at you and your oversized, nacelle-burning Impulse Engines :rolleyes: ). It's the same reason I argue that what we got wasn't the actual Ent-C bridge, and uniforms didn't "really" have to be zippered up at the back by a costume assistant, and TNG Borg didn't really look like guys in black leotards with junk taped on, those wobbly TOS bridge set pieces weren't really made of cardboard, the early 3D TNG animations weren't really that primitive, etc etc. As such, what I'm doing here is intended to address the UI issue relatively subtly, and be -hopefully, once finished- believably within the iteration of LCARS/Okudagrams. 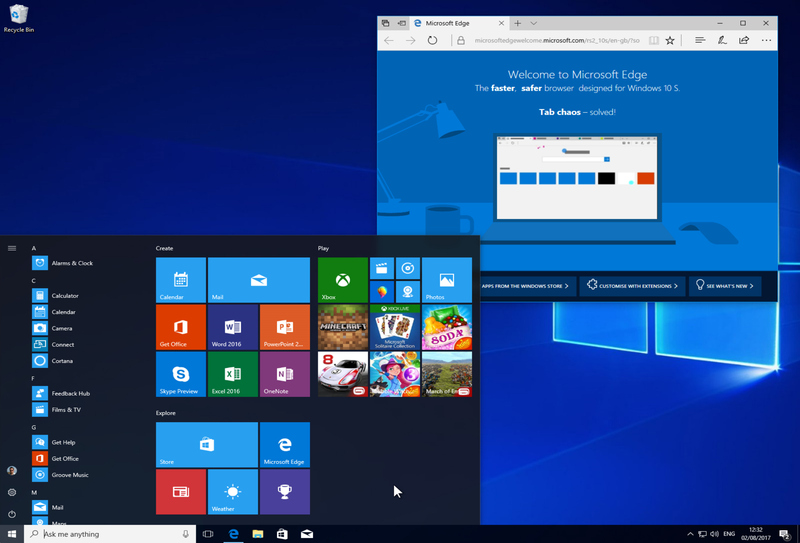 ETA: on the subject of Win8, bear in mind that it didn't gain traction partly because it was so drastically different, and as a result Microsoft fixed much of this with 10. I'd also point out that unlike the moneygrubbers in charge of MS, Starfleet wouldn't field a UI update to half the fleet without making damned sure they tested it properly first. Can you imagine having to wait for a system patch before you can activate shields? But again, that's consumer level software, they have to refresh it every couple of years to be flashy and sell new versions. Look at networking or military level software, it changes little over time, with some systems still being virtually identical and still fully supported since the 80s or even 70s. I personally worked with Cisco networking software that, while it was brand new at the time, was functionally and visually exactly as it would've been in the late 80s. When you don't have to sell things to a consumer, you don't need flashy updates or refreshes, you just need it to work as best as it can. Not trying to derail what you've got going here, I love the graphics you've come up with, (and, indeed, the only reason we got no refresh of the graphics was because there was no movie/TV show set in the early 24th century), just my two cents as to why the long life of okudagrams do make sense IMO. Early development of DOS-Windows was primarily around developing capabilities and ergonomics around advances in hardware -- not flash just for the sake of it (post-98 is somewhat a different matter... ). Consumer software or not, I rationalise the Okuda OS the same way, because with numerous races joining the Federation & Starfleet over time you're going to need to update your GUI to best fit a wider range of species (one reason why modern-day stagnating UIs aren't IMO a viable comparison - we only have one species to contend with! ), as well as major advances in technology. I'd propose that the Okudagrams really should have updated roughly in line with hardware (ie, from Ent-B to Ent-C), like we saw between TOS/TMP/TUC, and then to a lesser extent TNG/VOY. As you know of course, the Trek interfaces update on the regular - so long as we're "there to witness it." YMMV still of course, but a progression roughly in line with Tech upheavals is what I'll continue to aim for. Just think of the sh*t I'm going to stir up when I start on a revised TMP/TWOK interface! Taking time away from the Okudagrams for a moment (bad habit - I keep hopping from one thing to another...) @Rekkert might remember me mentioning what I'm fondly referring to as the ""A$$hole 'verse"" - a parallel Trek universe that takes a lot of its aesthetic cues from a very different franchise. 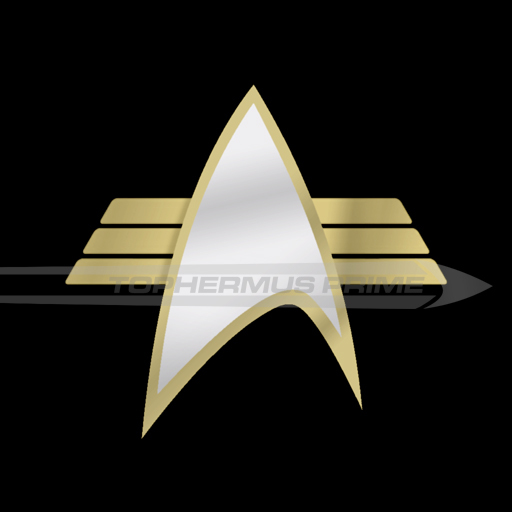 The below is that universe's Star Fleet insignia, seen roughly around the 2280s. Not quite as spiffy as your awesome insignia collection Rekkert, but it'll get the job done for now! 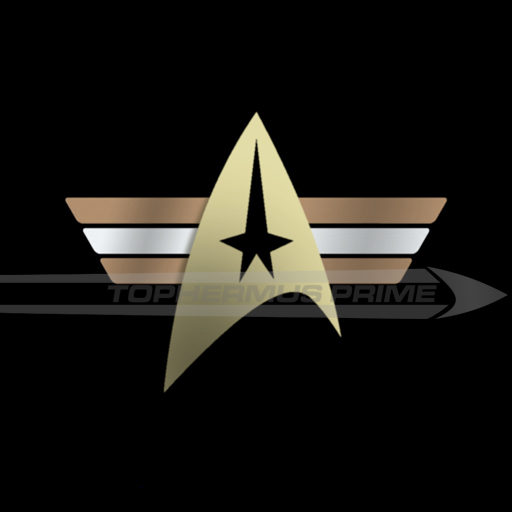 If you turn that trapezoid upside down, you get something like the Starfleet insignia that was introduced in the 3rd season of DS9 as well as Generations. Is this what you had in mind, @Rusty0918? Not played with any of the proto-Connie Okudagrams for a while; started a bunch of wips today but this is the only one worth showing. As per my 2290s Connie bridge design that @Rekkert superbly modeled, my testbed version of the Constellation bridge (circa early 2280s) will take subtle display cues from TWOK - this time interspersed with TVH graphics. 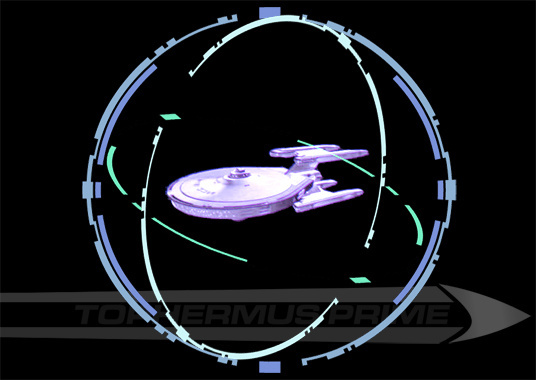 As such, I'm working up a handful of unique circular displays, as well as Mike Okuda's "clockface" resource monitors. The below display is the concept for an updated take on the Navigational graphic seen in the Kobayashi Maru simulation in TWOK.